Finding books for homeschoolers that do not have a religious view or take, or something can be hard. I mean, ridiculously hard, I have been looking for five years and still have hadn’t the best luck. But there are some, and they are great. 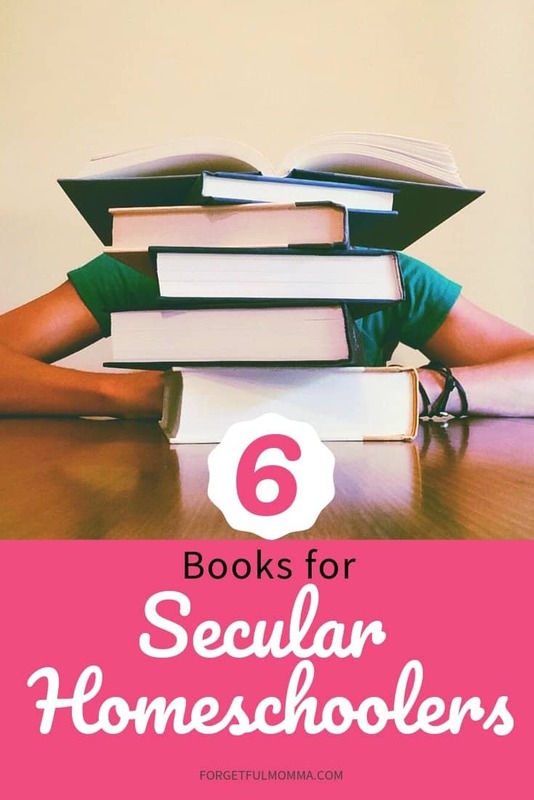 There are some other really great books for homeschoolers that are fully secular. Zenschooling: Living a Fabulous & Fulfilling Life Without School – Homeschooling is an extraordinary experience, but it can also be stressful and overwhelming. Bring a little Zen into your education at home, and use the power of experience, mindfulness, and acceptance to create an amazing homeschooling life. Homeschooling and Loving It – Learn the art of stress-free homeschooling so you can homeschool your children without losing your mind or your pocketbook. Positive Discipline Ninja Tactics – Are you struggling to live peacefully with your young child? Do you sometimes feel like, between temper tantrums and resistance to simple requests – such as coming to the dinner table or getting dressed – you want to melt down right alongside your kids? The Art of Self Directed Learning – This book will inspire you to craft your own unconventional education, no matter whether you’re a young adult, recent graduate, parent, or simply someone who never wants to stop learning. Secrets of a Successful Homeschool Mom – Most of us have at least a few insecurities hidden inside about whether or not we can actually do this homeschooling thing. Often we are our own biggest obstacle. It makes sense that we would feel this way–after all, we’ve been taught that education is complicated. But what if some of what we’ve been taught is not true? Homeschool Teacher: a practical guide to inspiring academic excellence – Homeschool Teacher is a guide for families new to homeschooling, old hands looking for ideas, and parents wanting to help their children after school. Based on twelve years of homeschooling experience and academic research, Homeschool Teacher covers how we learn, teaching tactics, specific recommendations for subject areas, how to choose the best curriculum for your family.